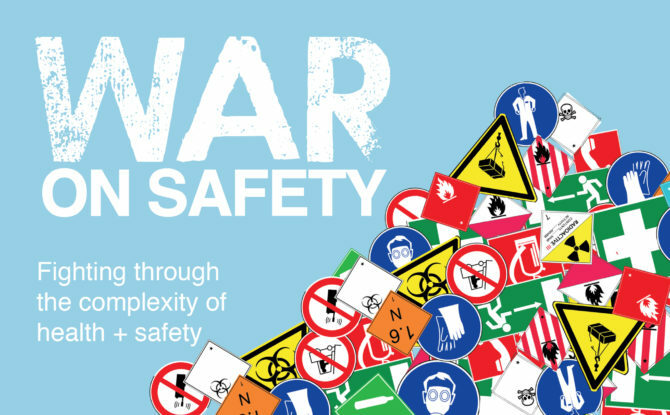 Recognising a pressing need for small and medium sized businesses to access us­­­eful and targeted advice about health and safety, Action OHS Consulting has developed a free four-part webinar series titled the War on Safety to assist. It launches 8 August 2018. Since this webinar series is now over – we’re offering access to the recordings. Interested? Click here. We were inspired by the ABC’s War on Waste program… and threw a little spin on our own title. Yes, we want to catch your attention. Because safety is important. The series aims to fight through the perceived complexity of health and safety laws to provide free resources, practical tips and an understandable interpretation of the legislation. “We’ve had a lot of feedback that the title of the webinar series is a little dramatic! But it really does represent the frustrations of many small businesses out there”, says Director and Principal OHS Consultant, Craig Salter. “Generally, SMEs think they need to adopt a big business approach to safety, and as such, become overwhelmed by where to start. This often means that they sit on their hands and hope nothing goes wrong. Through our interactions, we regularly hear from SMEs that they don’t know where to turn to for information or support. This is really why we’ve designed much of our business around supporting these types of businesses, and why we’ve developed initiatives like this webinar series to assist”. After working with over 500 Australian businesses over the last five years, Action OHS Consulting has designed the series based on the many frustrations and challenges SMEs experience when trying to comply with the laws. Armed with over 50 years of collective knowledge, the consultants at Action OHS Consulting will deliver quick 30-minute webinars providing much needed insight on exactly how SMEs can manage their health and safety duties to work in line with the legislation, and importantly protect their people from harm. The series will debunk the misconceptions commonly associated with good workplace health and safety practice. At the end of the series, businesses will have the knowledge and confidence to establish a safety system suitable for their business. Action OHS Consulting will co-host the series with their sister organisation Safety Champion – a software solution purposely built for the SME market.